Haleh Samimi has a masters degree in Counselling from the University of Saskatchewan. She is also certified in Motivational Psychology, Equine Assisted Psychotherapy, Trust Technique, Mediation and Conflict Resolution, Focus on Integrated Treatment (from Hazelden), and Suicide Prevention. She has worked hard to serve youth for over 25 years and now has a private practice in Saskatoon. Her research and areas of interest have focused on trauma, addictions, and biophilia. 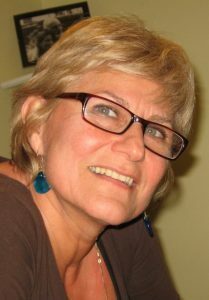 Haleh grew up in Indonesia and pioneered in Papua New Guinea. She has lived, traveled and served the Bahá’í Faith throughout North America for over 30 years.